Are you planning to be your own General Contractor? Some home owners choose to save 10% - 20% on their home remodeling or addition project by serving as the general contractor and then hiring specific services contractors to complete the work. If you have the time and industry knowledge to take this on, we'd be happy to work with you to frame your project. If you want to save money by building your own home addition, calling Allure Home Improvement & Remodeling, LLC to frame it is a great option. We'll take the required measurements, pull necessary permits and erect the frame of your new structure. We'll make the room weather tight, so that you can work on the finishing touches at your own pace. The frame provides the structure and strength to your addition. The expert framers at Allure Home Improvement & Remodeling, LLC will work with your to pull all required permits and get the job done right. Our skilled and fully insured team will construct your frame and get your addition weather tight. 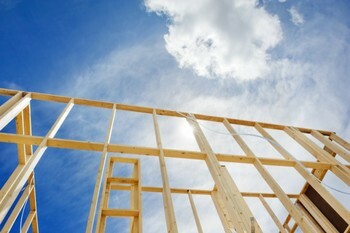 It is important that an expert framer construct the frame of your new addition or building structure. Walls, ceilings and floors must be square. Allure Home Improvement & Remodeling, LLC has built structurally sound frames for over 12 years, and we'll be happy to show you why we're the area's trusted framer. Our expert framers won't miss a beat as they precisely measure, cut and assemble the wood frame for your project. We'll follow your plans with precision and expert carpentry skills.